The rain gear may be needed across Kentuckiana as our chances for showers and thunderstorms pick up heading into the late week. A few waves of energy cruising along a stationary front draped across our region should keep things wet and stormy through the day on Thursday. Showers and storms should pick up tonight as the first wave of energy slides through with lows in the upper 50s. A few storms could produce some heavy rain, gusty winds and small hail. We should see a brief break Thursday morning before the next wave of low pressure and a trailing cold front bring more showers and storms to the area. It now appears the rain may linger into the rush hour Friday morning before things clear out. Of course, lots of activities with the Kentucky Derby Festival crank up over the next few days along with Opening Night at Churchill Downs on Saturday. 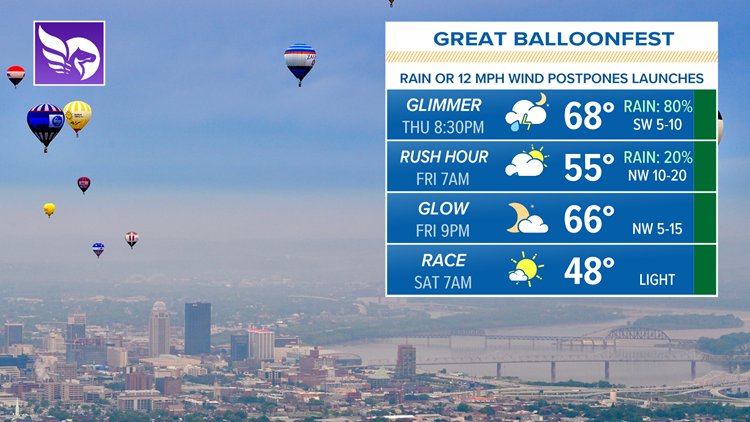 The first few events for the Great Balloonfest may be negatively impacted with improvement expected Friday night and early Saturday. 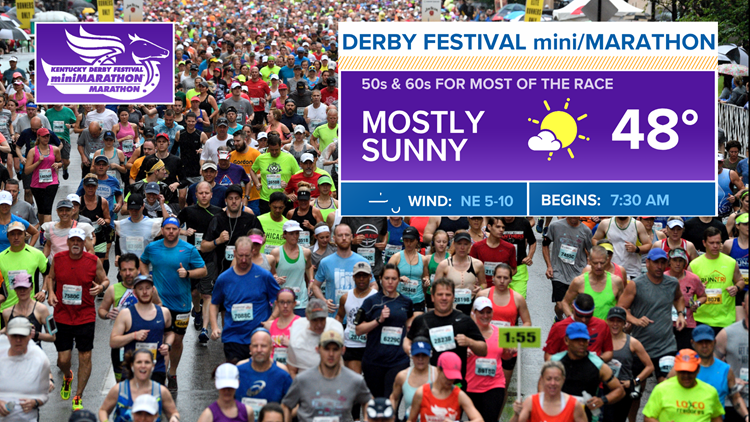 Conditions should be ideal for the KDF mini/Marathon with temperatures right around 50 degrees as the race begins. 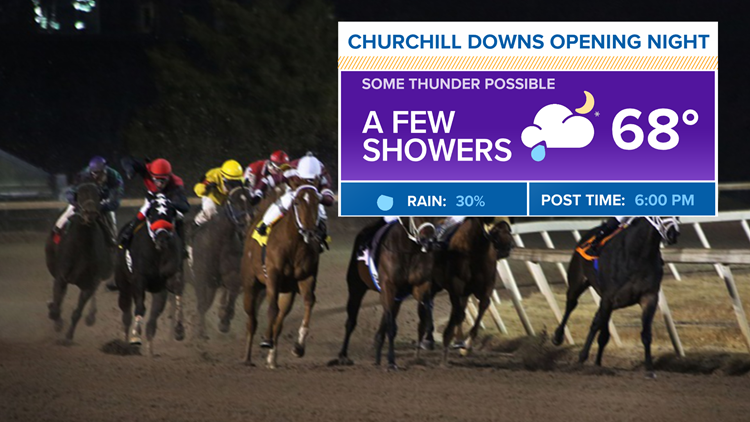 With the next storm system moving in quickly, expect a few showers as the horses break from the gate Saturday evening to open the spring meet at Churchill Downs. Sunday looks dry and pleasant with highs in the upper 60s. Another frontal boundary may be hanging over our area to begin Derby Week, so we could be dodging a few showers and storms at times to go along with warmer temperatures back into the 80s! TONIGHT: Scattered showers and storms. Low: 60°. Wind: SW 5-10 mph. THURSDAY: Occasional rain and storms. High: 73°. Wind: SW 5-10 mph. FRIDAY: An early shower, then drying out. High: 70°. Wind: NW 10-20 mph.